Karolyn Nunnallee had just gotten back from church when she got the news. Her 10-year-old daughter Patty, was in a bus crash coming back from a church-arranged trip to an amusement park. "My husband called and asked me where were Patty's dental records. My logical mind knew you don't just ask for dental records if there were survivors," Nunnallee told ABC News. What she didn't know yet was that the Carrollton bus crash on May 14, 1988, was the deadliest drunk-driving accident in U.S. history. It still holds that record today. The violent collision on an interstate outside Carrollton, Kentucky, killed 27 people -- 24 of them children -- and injured 34 others. It spawned an array of new regulations for buses and, perhaps more importantly, raised awareness of the dangers of drunk driving and helped to spur a lowering of the legal threshold for blood-alcohol content across the country. But now 30 years after the crash, some survivors lament that there weren't still more changes to deter drunk driving. “I know lives have been saved, but sadly too many have been lost,” Nunnallee said. 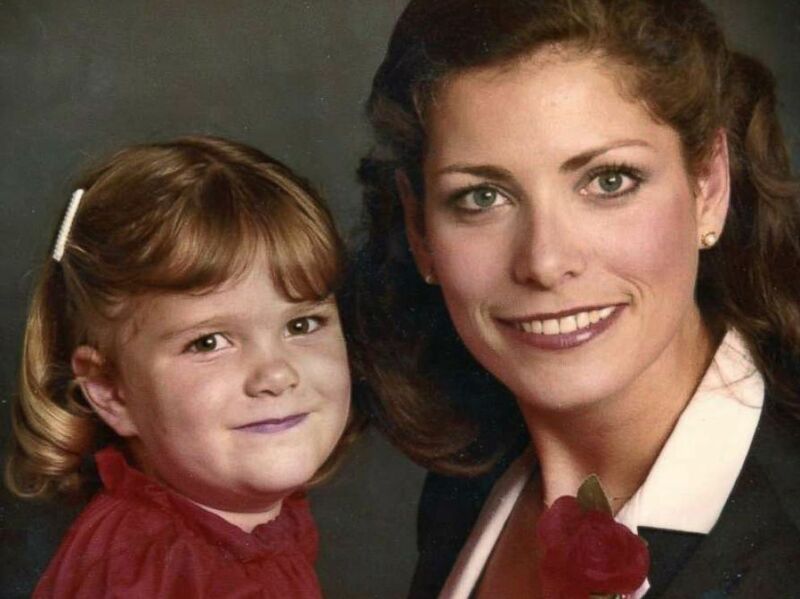 Karolyn Nunnallee is pictured with her daughter, Patty. 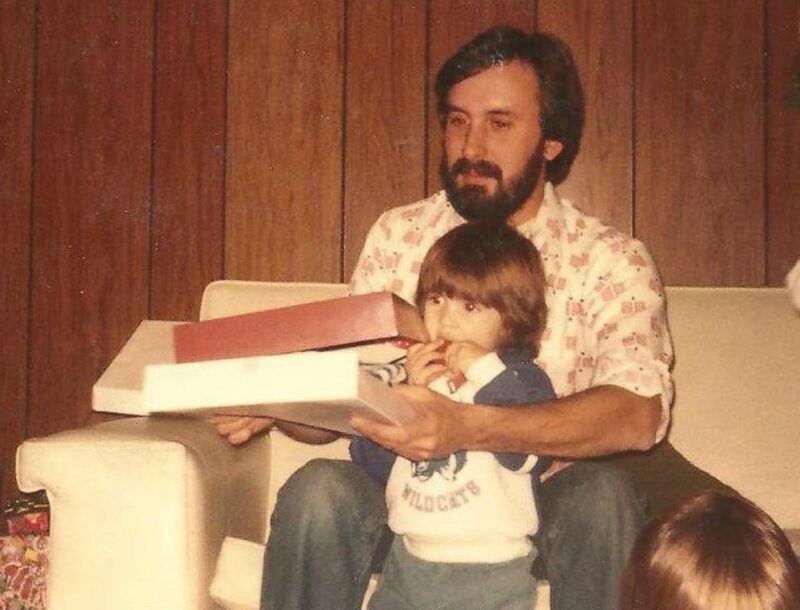 Among those lost in the years since was the son of a man killed in the Carrollton bus crash. 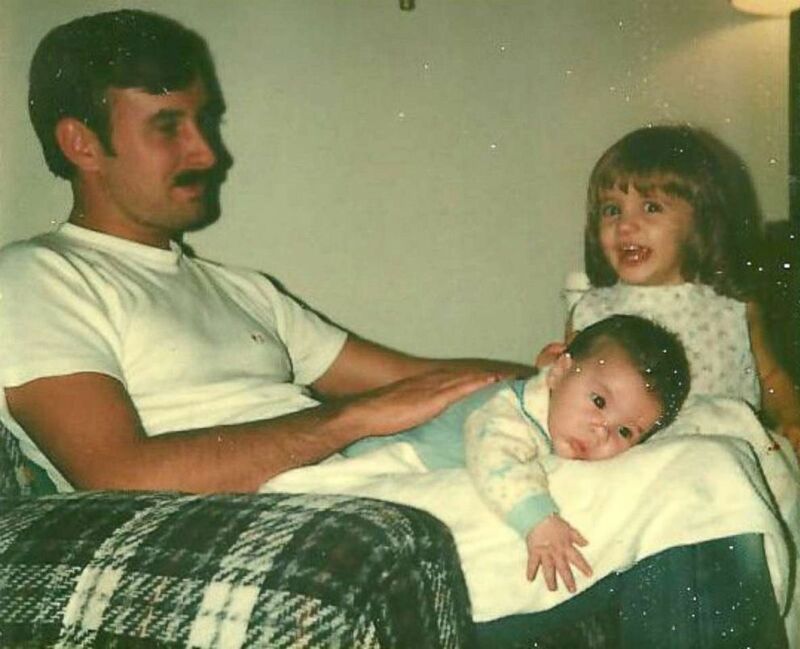 Charlie Kytta died in an auto collision with an impaired driver just as his father, Chuck Kytta, had in the drunk-driving bus accident years before. Charlie’s mother, Janet Kytta Hancock, said her son’s death left her with the same feeling as when her husband died. “It’s maddening because it didn’t have to happen,” Kytta Hancock said. The crash occurred around 11 p.m. when a drunk driver in a pickup truck was traveling on the wrong side of the interstate and slammed into the oncoming school bus. Ten-year-old Patty Nunnallee was among the 24 children killed, and Chuck Kytta, one of the chaperones on the trip, was one of three adults who died. Chuck Kytta, seen here with his son Charlie, was the youth pastor for the church that arranged the trip to the amusement park and was standing in the stairwell of the bus when it crashed. His wife, Janet Kytta Hancock, said she later learned that he had been standing in the stairwell at the front of the bus when the crash happened, and he burned to death. At first, when she arrived at the First Assembly of God Church that night after receiving a call about a problem with the bus, there were lists of names posted that divided up the passengers into injured and missing. Her husband’s name was on the missing list. Don Karol, a senior highway accident investigator with the National Transportation Safety Board, told ABC News that he believes that no one died as a direct result of the collision, but rather from the fire and smoke inhalation in the aftermath. The truck "hit the bus in the right front, and it was enough to basically damage the suspension, and the whole front end of the bus got pushed rearward ... The fuel tank that is right behind that area got punctured," Karol said. The bus was filled to capacity, Karol said, with 66 passengers and a driver, and because the front exit was inaccessible due to the crash, all 67 adults and children were trying to get out of the one rear exit. This May 17, 1988 file photo shows the hull of the bus that claimed the lives of 27 victims in a head-on collision with a pickup truck at a Kentucky National Guard Armory in Carrollton, Ky.
That one rear exit was partially blocked by coolers that had been pushed toward the back of the bus, which Karol said "exacerbated the problem." The layout of seats was also a factor, as the bus's "very wide" rows of seats left only left 12 inches for the aisle, Karol said. 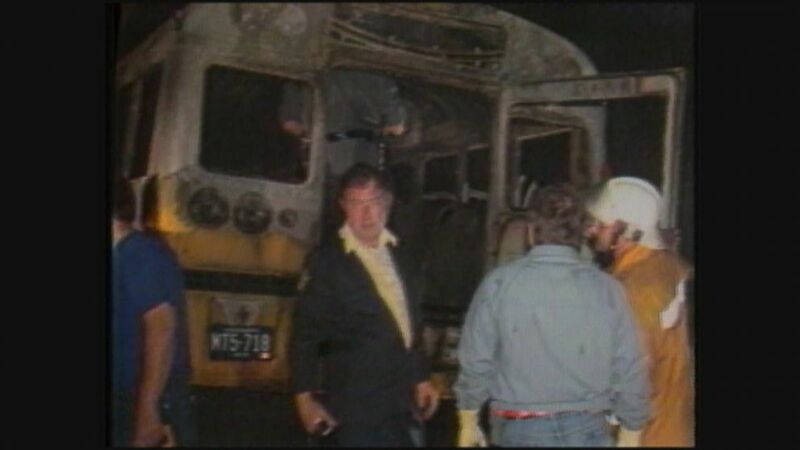 Two other safety issues that reared their dangerous heads that night were a lack of guard frames around the fuel tank, which could have prevented it from being punctured in the crash, and the toxic, highly flammable material in the bus seats. Autopsy reports showed Patty Nunnallee had certain toxins in her system which indicated she was the last one to die, her mother said. "I was honestly hoping that the immense heat would have killed her instantly," Nunnallee said. "But the autopsy showed that because of the gas in her blood ... she had to have breathed it in and she was the only one" to have such toxins in her system. 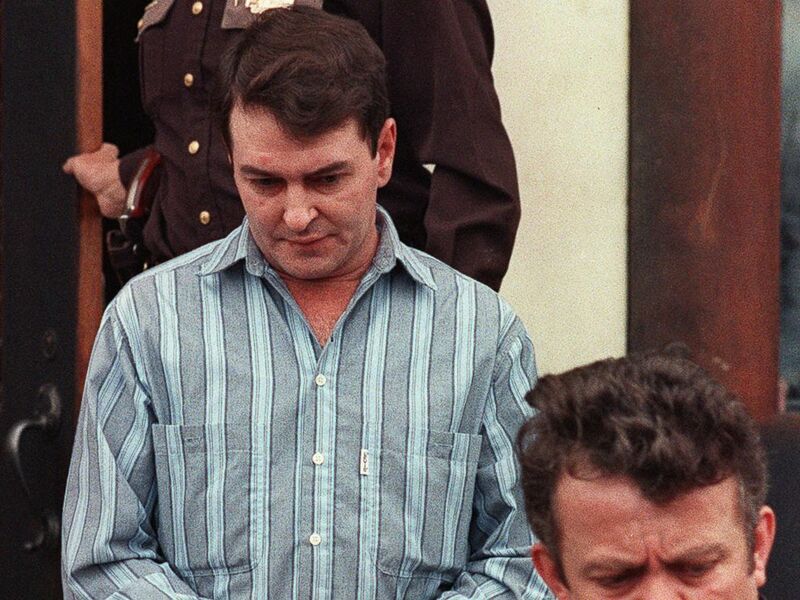 Larry Mahoney, left, is led from the Carroll County courthouse in Kentucky by Sheriff George "Ricky" Cayton after being sentenced to 16 years in prison, on Feb. 23, 1990 for causing the Carrollton bus crash in which 27 people died. The pickup truck driver, Larry Mahoney, then 34, had a blood-alcohol level of 0.24 percent at the time of the crash, significantly above the 0.10 percent legal limit at the time in Kentucky. He was convicted of 27 counts of second-degree manslaughter, 16 counts of second-degree assault and 27 counts of wanton endangerment, prompting a sentence of 16 years in prison. According to a 2003 Cincinnati Enquirer article from the 15th anniversary of the crash, Mahoney was described as a model prisoner and had more than five years taken off his sentence due to good behavior. The paper reported he left Kentucky State Reformatory in September 1999 and has lived a quiet, isolated life ever since, never speaking publicly about the crash. 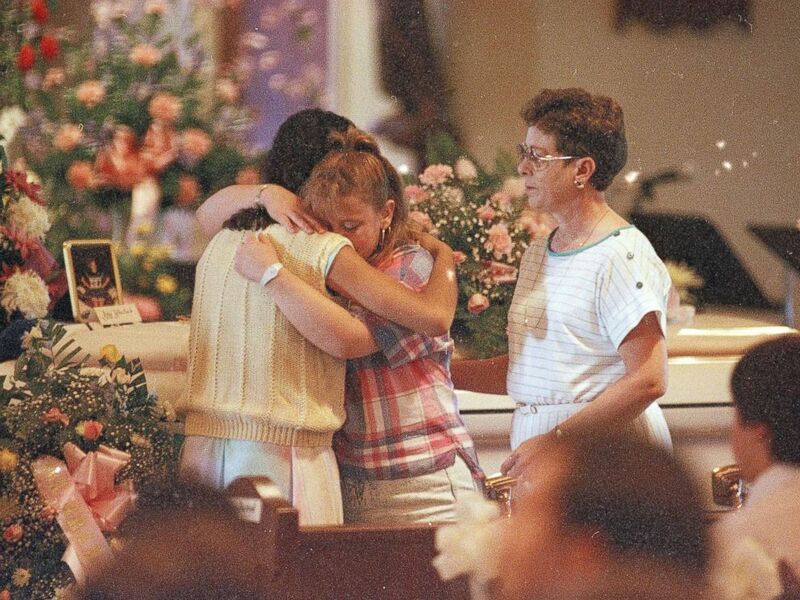 Two young women embrace each other as they stand in front of the casket of Amy Christine Wheelock during her funeral Mass at St. Christopher Church in Radcliff, Ky., May 18, 1988. 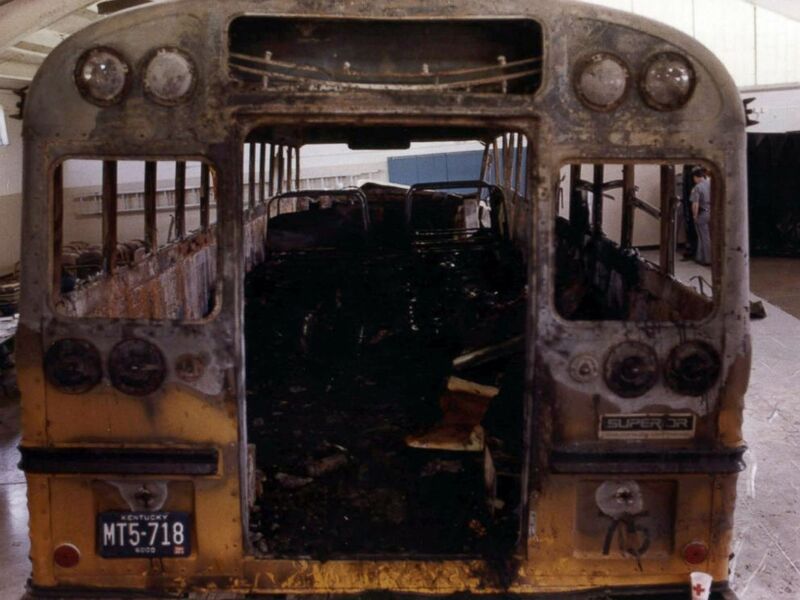 The children and adults on the bus that day either belonged to or were friends of members of the First Assembly of God Church in Radcliff, Kentucky. The crash rocked the town and reverberated at nearby Fort Knox, as many of the victims, including Patty Nunnallee, came from military families stationed there. A memorial service days after the crash at a football stadium drew thousands of mourners. 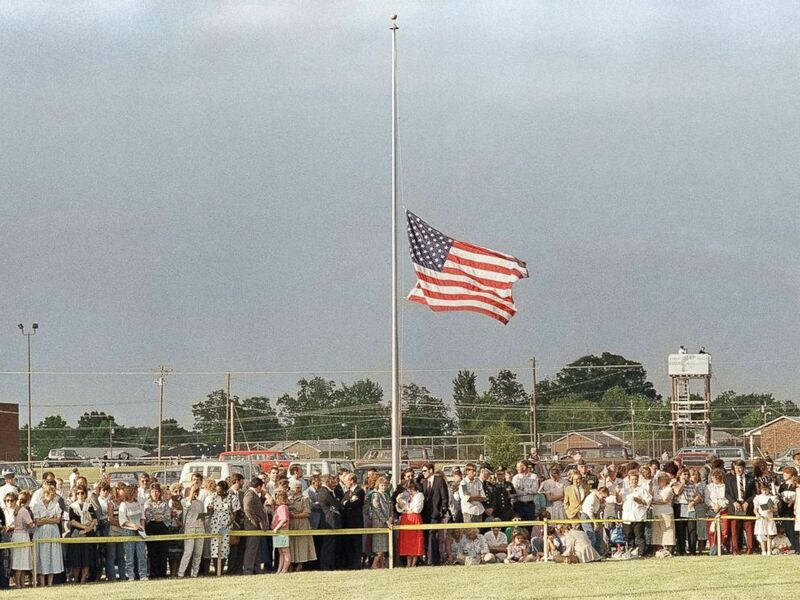 The American flag flies at half must during a memorial service attended by thousands at the North Hardin School football stadium in Radcliff, Ky. on May 19, 1988, in honor of the 27 people killed in a bus accident near Carrollton. Karolyn Nunnallee quickly found activism as a route through her grief. “I started my work in MADD [Mothers Against Drunk Driving] two weeks after the crash. I just knew I had to do something,” she said. She started working with the group on the state level and continued working with MADD even as she and her family moved across the country. She eventually became a member of the national board and then president of the group from 1998 to 1999. 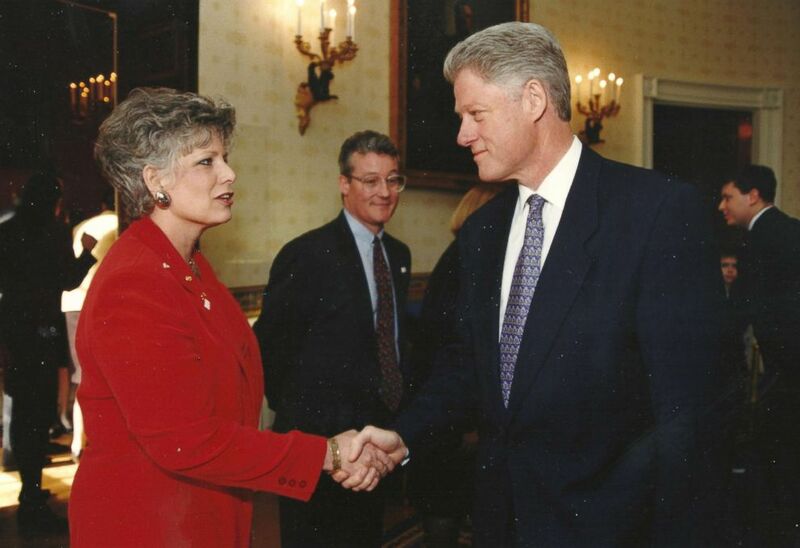 Karolyn Nunnallee, pictured here with then-President Bill Clinton, channeled her grief into activism, going on to serve as the national president of Mothers Against Drunk Driving. After the Carrollton crash, bus safety standards were heightened and anti-drunk driving initiatives progressed. School buses now have better-protected fuel tanks; many more exits including emergency exits and windows that double as exits; less flammable seat materials; and wider aisles, Karol from the NTSB said. The most notable change was the lowering of legal blood-alcohol levels, first on a state-by-state basis, then by 2004, a 0.08 blood-alcohol limit was adopted in all 50 states, according to MADD. The decreases were not enough for Nunnallee, however, as she remembered having a tinge of regret when her term as MADD president was over in 1999. “I honestly thought that I, Karolyn Nunnallee, would stop drunk driving. That was my thought,” she told ABC News. “I look back in the last 30 years — 375,000 have been killed in the last 30 years, and if that had happened in a one-time incident our nation would be in a total uproar. We probably would take all the cars off the road,” Nunnallee said. “If it were up to me, they would quit selling alcohol and they wouldn’t allow anyone to get behind the wheel with anything [in their system],” she said. She and her children, Mandy and Charlie, 11 and 9 years old respectively at the time of their father’s death, moved to Oklahoma and carried on with their lives. She remarried, and eventually her children married too. But 22 years after the Carrollton crash, in 2010, her son, Charlie, was also allegedly killed as he was on his way to work by an impaired driver. The driver later pleaded guilty to manslaughter and was sentenced to 10 years in prison. In 2010, Charlie Kytta was killed by an impaired driver. 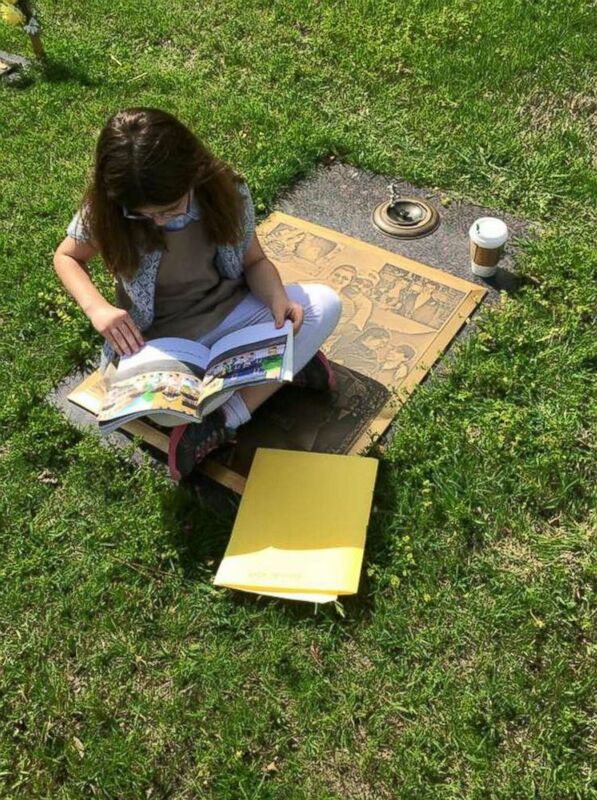 His daughter Amanda, pictured at his grave, was 3 years old at the time of her father's death. Kytta Hancock said she wants drivers to think more about the people they may be putting at risk. “I don’t think they ever thought that it could happen to them,” she said of the driver in the Carrollton crash and the man whose car collided with her son's. But drivers are not the only ones at fault, as friends need to help stop others from driving impaired, Kytta Hancock said. “We have to intervene when we see it happening,” she said. She echoed Nunnallee, saying that while progress has been made, it’s not enough.